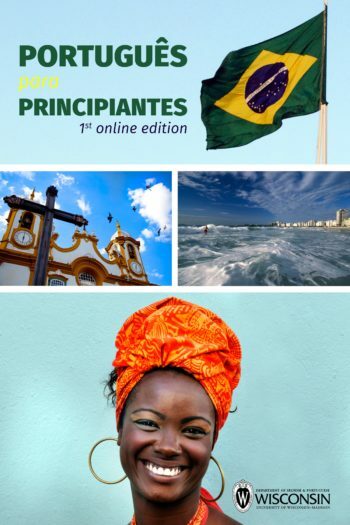 Book Description: Português para principiantes is a time-tested text which can be used in conjunction with a variety of approaches to the teaching of beginning Portuguese. This media-rich text is designed to provide learners with a solid grammatical basis for using Brazilian Portuguese as well as regular opportunities to practice and improve their ability to read, speak, and understand the Portuguese language as it is used in contemporary Brazil. The present book is the first digital edition Português para principiantes, a time-tested text which can be used in conjunction with a variety of approaches to the teaching of beginning Portuguese. This material provides students with a good foundation in Brazilian Portuguese which can serve personal, academic, or professional goals. This digital edition is a thorough re-working of Severino J. Albuquerque and Mary H. Schil’s 1993 revision of Claude E. Leroy’s textbook, first published as Português Para Principiantes in two volumes by the University of Wisconsin Extension Division in 1964.